Use toothpaste to clean your headlights – if your headlights are looking a little dull or cloudy, buff them with toothpaste and a soft cloth and you’ll be surprised how amazing they look. 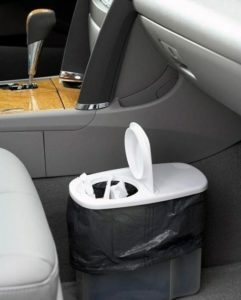 Create a car bin – keep your vehicle neat and tidy by having a small bin in the backseat. You can craft one out of a plastic cereal container and just add a plastic bag inside. 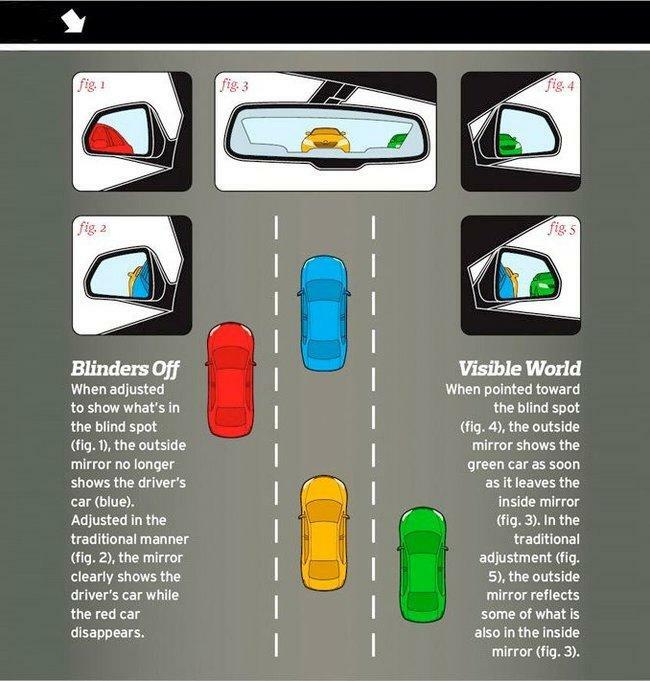 Check your mirrors are set correctly – safety experts recommend that no part of your car should appear in your mirrors so that you can negate blind spots. Use a shower caddy to keep kid’s meals on their laps and not on your seats or floors. Get a parking app on your phone so you never forget where you left your car, or take a photo on your smartphone whenever you park the car. A shoe organizer from the dollar store is a great way to organize all your travel supplies; hang it on the back of the front seats and you have everything within reach. Cool a car down without air conditioning by rolling down one window and then opening and closing the door on the other side five to six times. Your car will cool down without the need for air-conditioning by sending all the hot air out the window. Keep a microfibre cloth in your centre console so you are always ready for any spills, or you can dust off the dash while you’re sitting in traffic and notice all the dust build up! When you next clean the inside of your car, put a few drops of your favourite essential oil on the cloth you use to wipe down your car seats so that the lovely aroma lingers in the car. Each time you fill up your car with fuel, check your tyre pressure to make sure they’re all at the right levels so you’re getting the best fuel economy. Cars are incredible machines and year on year their technology expands bringing you safer, more efficient and more powerful driving experiences. Although they may be mechanical wonders, they are not immune to faults or damage, but luckily when something does start to go wrong your car is able to tell you what’s happening beneath the hood…. so long as you know how to read the signals! Taking time to understand your vehicle’s warning signals will not only reduce the stress levels when you see your dash illuminate, but you could also save yourself time and money by accurately understanding the message your car is sending. If you see this warning light you’ll probably also experience other unusual symptoms including loss of power as your car goes into safe mode, or a stuttering as you accelerate. Although it may only be a small issue such as faulty wiring, any time the engine warning light illuminates you should get your auto technician to look at it as soon as possible. It may be a bigger issue than you think and driving around with a faulty engine could continue to cause damage to your car. This could either mean your coolant levels are low and need a top up (check the gauge on the side of the coolant tank under the bonnet) or your engine is overheating. If your coolant levels are fine then book in with your auto technician to take a look. If your engine gets too hot it can breakdown, taking one small problem and turning it into a big expensive problem for you… so don’t let that happen! Get this checked by your auto technician ASAP… you don’t want to drive anywhere with dodgy brakes. Your battery charge warning light should illuminate when you first turn your car on, but if it doesn’t go out a few seconds after the engine starts, there could be a problem with your car’s electrical system. This warning indicates an airbag in your vehicle is malfunctioning. Although you may think you can get away with leaving this a while you never know when you will need your airbag to deploy. I’m sure you also don’t want the airbag to deploy unexpectedly while you’re driving along… it may cause a crash. If this warning light comes on you may have a puncture in your tyre setting off the tyre pressure monitor. Pull over and take a look at all your tyres to make sure. Your oil warning light may flash up if your oil temperature gets too high, the level is low or oil pressure too low. It’s the latter two you want to avoid at all costs. It could be something as minor as a faulty sensor or a broken wire, or it could be something more serious that, if left unchecked, will cause lasting and expensive damage to your vehicle. Regular servicing and maintenance can help protect your vehicle from firing off a fault, so keep a close eye on your car and its warning lights to save you money and avoid those expensive garage bills. Phone (07) 5456 4859 to book your next vehicle service with SVS Autocare.